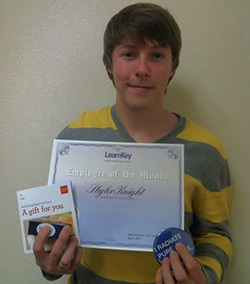 Newest Employee of the month leverages what we do! I have one older brother who is much smarter than me, but not nearly as handsome. And I smell better. Anyone who knows me knows that is probably the hardest question that I can be asked. But if I had to narrow it down to one it would be Pulp Fiction, with Boogie Nights as a close second. Again, a tough one, but probably either Radiohead or Pink Floyd. Anywhere with a beach and booze. A grizzly bear. RAWR! Scaaaarrryyyy!!! Fried fish eyes. They explode like Gushers (the candy) when you bite down. A 1973 Dodge Dart. It was more power than a 17 year old should have. I want to skydive into your heart. 11. What is the funniest saying you have heard working here? I would have dinner with Stanley Kubrick — at Chuck-A-Rama because their mashed potatoes are delicious!!! Please join me in congratulating Aaron and congratulations on your Adobe certifications and believing in what we do! This month we feature an all around team player from our Cedar City, UT office. Her tenure at LearnKey includes roles on the graphic design team and most recently upon her return she is part of our “rock star” technical writing team. KaeLee DeMille is her name and helping out anyway she can, even painting the office, is her game! That’s right we recently had a painting party and she was an integral part , with paint brush in hand helping out anyway she can. Another great quality is that she is always striving to improve her knowledge and skill set which was noted as she recently passed her Microsoft Word Certification exam. That is a big accomplishment considering her current role is technical writing and leveraging her knowledge of Word and the exam process will only help us make our courses better. 1. How many siblings do you have? 1 younger brother. 6. What is the weirdest combination of foods you have eaten? Escargot on a French class field trip in high school. 7. What is/was the name of your favorite pet? I have two dogs, Dani and Bubba. 12. If you could eat dinner with anyone from the past, present, or future, who would it be and why? Brené Brown because her work is super interesting to me and I love her book, Daring Greatly. Please join me in congratulating KaeLee for demonstrating our core values by making it easy for team members to work with you, always delivering value through your contributions to the writing team and building trust along the way by your inspiring actions (even when it comes to painting)! Employee of the Month: LearnKey.com has a raving fan! 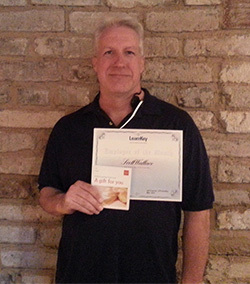 That is correct, our very own Colin Bell has been working hard to improve the user experience when navigating learnkey.com. His approach really demonstrates “less is more” as you can see from our home page and how we focus on students, educators, veterans and corporate enterprises. 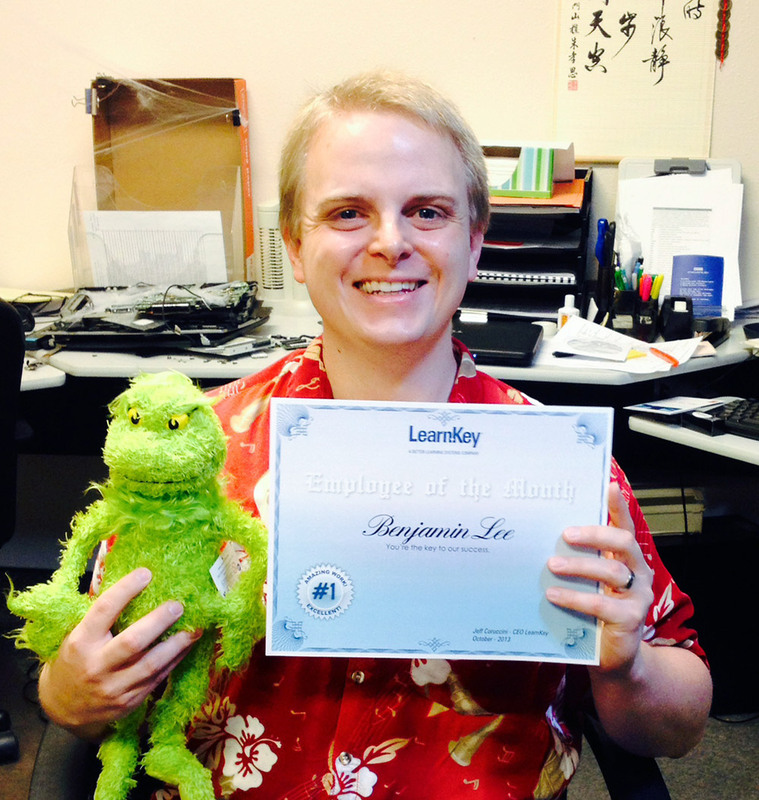 This was no easy task, and for that he has been recognized as Better Learning Systems employee of the month. His hard work truly demonstrates and lives up to our core values: ease, value and trust. The site is much easier to understand, our value is in the quality of our courses with new releases up front and he trusted the input of his team members when planning the improvements. Colin had to accept a ton of feedback, sometimes not getting clear enough direction and last minute changes – he handled all of it just like a true team player. A perfect example of someone putting passion around his work. Newest Employee of the Month: Outstanding, Amazing, Invaluable and more! 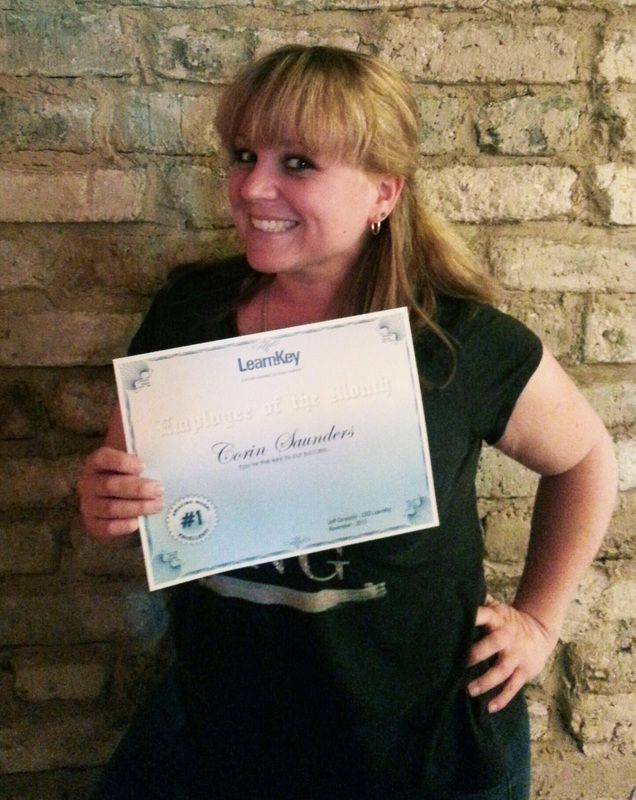 “Outstanding”, “Amazing”, “Invaluable” – Those were the words used to describe Rikki McKim, our newest LearnKey employee of the month. 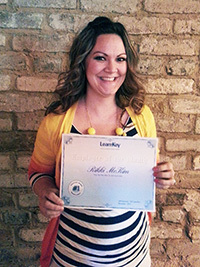 Rikki is a customer service champion known for a keen sense of how to “connect” with students, teachers and learners so she can help them use our LearnKey education courseware and OnlineExpert Learning Management System for the best experience. Anyone who has ever spent time with Rikki quickly understands why we feel so fortunate to have her as part of our team. 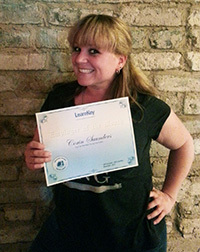 She truly cares about our customers and values their commitment to us as a learning provider. “I value her knowledge and her ability to dig in and understand our systems better. Her customer service skills are outstanding. Rikki is extremely easy to work with and truly cares about her coworkers and our customers”. There is a saying “happy employees create happy customers” and this is living proof that it works! 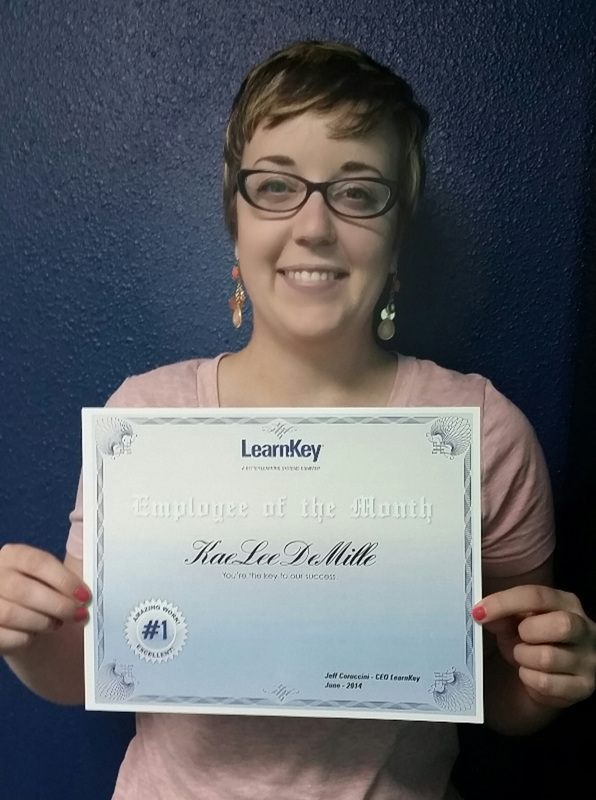 LearnKey’s Newest EOM: Making a difference one Veteran at a time! One of the greatest things our employees do everyday is focus on how they can make a positive difference in the learning experience. In our Salt Lake City office where we shoot the courses with our experts, our production crew is making sure the objectives are covered and we cover the right topics. In Cedar City where we produce the courses tying in video, technical writing and graphic design ,once again its about how can we drive the best learning experience making our courses easy to understand. Then there is our LearnKey veteran services team that is working hard to help every veteran who goes through our program to counsel and support them making sure they stay on track and meet all their milestones. 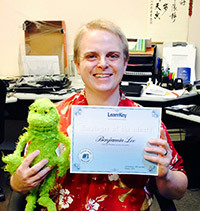 This is where our newest Better Learning Systems/LearnKey employee of the month Corin Saunders works hard to “make a difference” – not only for our veteran students, but also working to improve our systems and processes we use each and every day. “Corin joined the Veteran Services team in April of this year, and from day one she has had a huge impact on the team and the students that we support. She has truly immersed herself into the position and become an expert in all of the multi-platform education programs that we provide. In the interviewing process, Corin made it clear that she loves to help people and feel that she is making a difference. That is very apparent in her work with over 100 Veterans with whom she communicates on a regular basis. 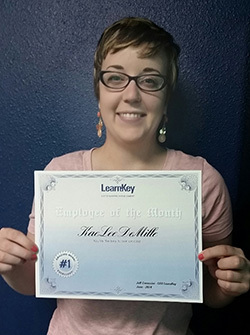 She dispenses just the right amount of compassion and tough love to help our students to make the most of their time with LearnKey and gain the certifications they need to advance their careers”. Another exciting month for Better Learning Systems as we head into the 4th Quarter of 2013, and it has all to do with our great people. 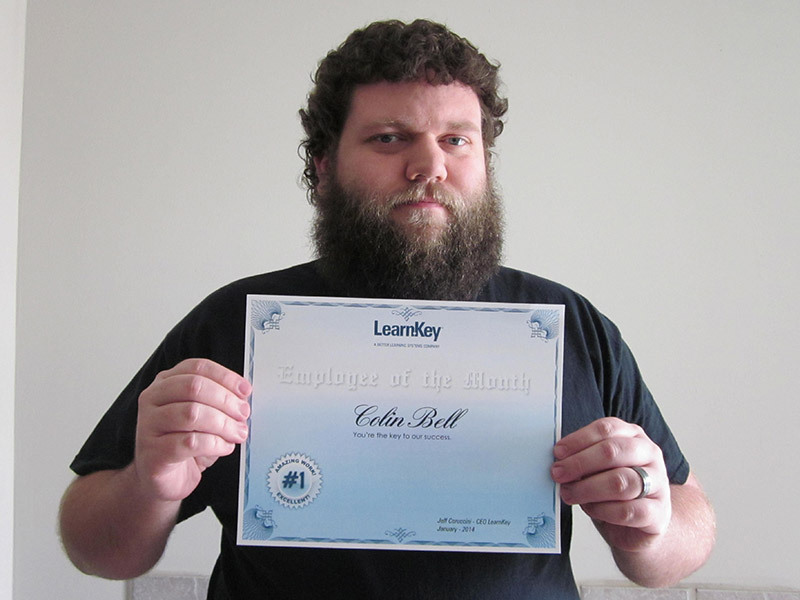 At LearnKey, we are celebrating another Employee of the Month, and this month our congratulations go to Ben Lee and all his hard efforts to go above and beyond in becoming one of our best quality control specialists in our Cedar City, UT office. His efforts go far and beyond a quality control specialist – he is a true team player who has demonstrated his efforts through actions, not words. “Ben is an energetic, optimistic, hard working, and friendly team player. 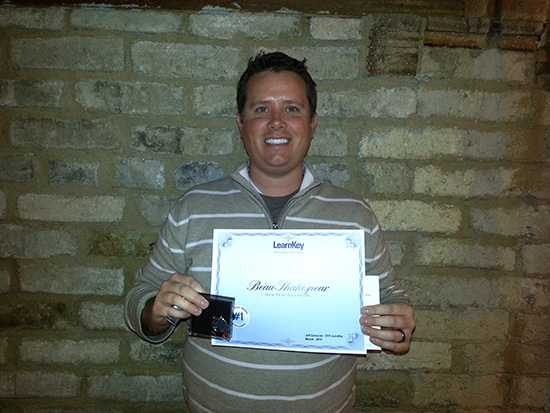 He understands most of our LearnKey training & courseware very well, therefore increasing the accuracy of our training. He always gets his work done by the end of the day, and will rearrange his schedule to make sure it is done. 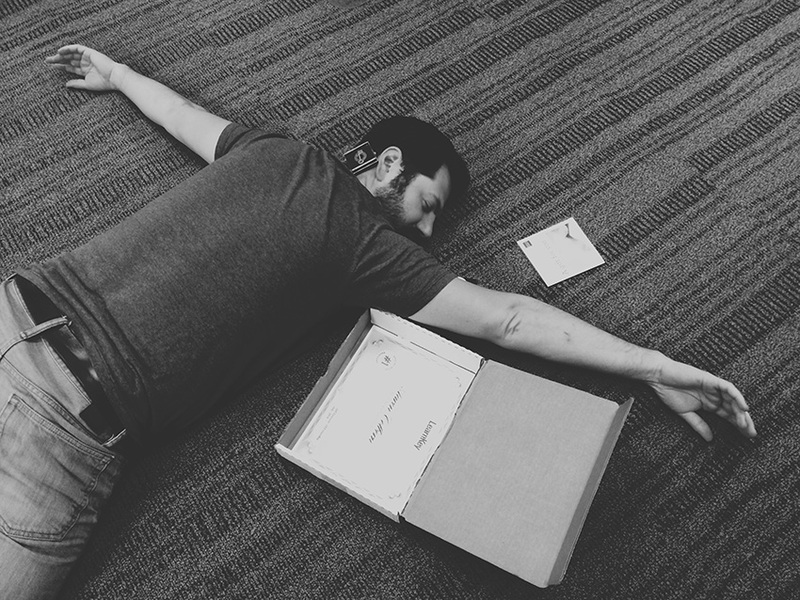 He identified a problem with how we keep QC records, and implemented a new QC record keeping process. Ben has always been willing to take on work that isn’t necessarily QC related, and completes each task very well”. One of his most recent accomplishments was when Ben learned we were wanting to improve our A+ course; he took the training, provided detailed notes on what part of our courseware was effective and what could be improved, then went and took the exam passing the first time! Every challenge we bring to Ben, he has overcome it both in doing the actual work and in dealing with the people involved. He goes above and beyond what is expected and required for a QC person in order to make sure he is doing his job correctly. He has done such a great job with his own work, resulting in less and/or easier work for his team and supervisor.